We know that a large list can seem like a chest full of treasure, but the truth is that about a third of them will turn out to be zircon that belongs in the trash can. And they can even put you in danger. Find out how and what you can do about it. The bigger the prospect list – the more time it will take you to update it. The bigger the prospect list – the more traps for your sales team to fall into and turn a harmless prospecting session into a nightmare. It is well known to every salesman that 30% of all sales leads are unusable within a year. People change companies and roles within the same organization. Companies grow or downsize. Anything can happen in a year. Low open, reply and conversion rates, as well as high spam and bounce rates, are the first indicators that your prospect list might need some freshening up. Maybe you bought these contacts from an unreliable source or your CRM data hasn’t been updated in a while. You have to be careful about the source of prospect lists you want to use. And prospect lists can be HUGE. We’re talking about hundreds and thousands of contacts. In case you are thinking about buying sales leads, we’re giving you 5 potential dangers that this practice can get you in. With outdated prospect lists there is far greater chance of you being marked as spam, or even worse blacklisted by your email provider or email automation software. Often, one leads to the other. If you bought the list, you are just one of many companies spamming the same person (you’re probably not the only one who bought the cheap list). Remember, good lists are never for sale. The next thing you know you see in you email automation software that you are getting marked as spam. And this happens for various reasons. You basically send unsolicited emails to bought contacts who don’t even know you or simply contacts that have been used a long time ago. People might have changed roles or left companies that you are targeting. The people receiving auto-forwarded emails aimed at their predecessors don’t care about your offer – hence your emails are seen as spam. Don’t risk being labeled as a spammer just because you didn’t have time to update your prospect lists. Don’t risk having to explain that you’re not a spammer to your email provider and to the email automation software you’re using. And don’t put your whole sales efforts at risk. Some emails services explicitly forbid this type of behavior. For example, Mailchimp enforces an opt-in policy. They actually suspend accounts that upload rented or scraped lists. On their website, they state that lists purchased from any source, rented lists, scraped lists or lists of members of associations violate their policies. Also, please don’t use Mailchimp for sales, it’s not made for that! As if that’s not enough, these “spam-traps” also exist. They might look like regular email addresses from a company but do not belong to anybody and are created specifically for catching spam. Depending on the location of your contacts, buying sales leads is also against the law (Hey, GDPR. How you doin’?) – but more on that later. 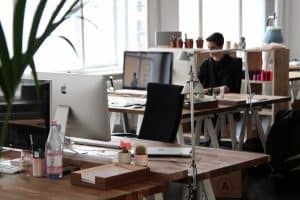 Still, even for the busiest sales departments out there, there’s a solution – outsource your prospecting efforts to a company that specializes in creating prospect lists. You will get fresh and carefully picked leads with 98% accuracy and your chances of ending up in in trouble with your email provider, automation software or even the law will be reduced to a minimum. A company that is supposed to help someone improve their business but can’t even find the right email address? Please. All of your sales efforts, your products or services can seem unreliable if you are sending your emails to the wrong people. And I bet that’s going to happen if you buy sales leads in bulk. That kind of neglect shows you don’t know your industry and people in it and you probably haven’t done the research to base your product/service on. You will basically be ruining your reputation just because you bought a huge list of prospects that hasn’t been updated since forever. Not to sound like a gossip column, but the more unprofessional you seem the more rumor will spread in the business world. And what if you would Google yourself only to find angry comments left by the people that you sent your emails to on the first page? Bad news spread like wildfire, and reputation is extremely hard to rebuild so don’t let small mistakes ruin everything you worked for. 3. Wasting time on cold leads with low likeliness of converting. Don’t forget – when buying sales leads you might get a long list, but none of these people know you which makes them the coldest kind of leads. To make matters worse, they most likely don’t target your Ideal customer profile and buyer personas. Contacts could be from the industry you target, but you don’t know if they were collected for a company selling chairs or accounting software. What this means is that you are sending emails and calling people that might not be interested in your product or service. You are trying to convince them into purchasing something they don’t need or they don’t know they need. After a few attempts you realize they are not going to buy your product or service and then you go back to finding new prospects which may take days or weeks. Or, you’re sending new offers to your old sales list just to check if contacts are still valid. Only two things can be the result of such action – wasted time and marked as spam. Don’t forget about all the time you will spend trying to convince your email provider and email automation software company (who can be very strict about their spam policies) that you are not a sales bot. Why spend your time on old or irrelevant contacts when you can start with potential customers right away? Isn’t that time better spent? It may seem to you that you’re getting a huge number of leads for very little money, but if it seems it’s too good to be true, it probably is. Buying sales leads in bulk actually wastes money. When you take out all outdated contacts out of the list, when you eliminate all the uninterested ones, you are left with a much, much smaller number. Now divide the full price of the list by that number. What do you get? Moreover, for every contact that is not interested that you’re trying to convince, there is one contact that you could persuade into buying that you just don’t know about. You are losing the money every time you waste your time talking to or writing to an outdated or cold contact. If your lists are good and updated regularly, you will be talking only to potential buyers that might become your clients right away or in the near future. If you’re using bought or outdated sales lists, you are paying your sales team to spend their time on wrong contacts and looking for new ones. Free your sales team and enable them to sell to the right people by giving them highly targeted prospect lists in advance. 5. Buying sales leads risks huge legal fines. With the increasing digitalization, more and more laws and regulations are being implemented. What you should know is that most countries in the world have their own laws so before straight out emailing anyone on the list you bought, make sure that you check the certain country’s stance on the issue. The most famous regulation is definitely GDPR, and it regulates both data protection and data processing of people from the EU. The data owners have to give you explicit consent (you now see what MailChimp wants with opt-in lists) either through email or clicking the opt-in forms – as long as it is active consent. Sending emails to a random list of people is forbidden! Your lists need be precisely targeted and accurate to constitute what is called “legitimate interest”. Although it may seem this will make things harder, building highly targeted lists and updating them regularly will actually pay off more in the long term! And that’s especially when you take fines into consideration – up to €20 million, or 4% of last year’s revenue, whichever is higher. Definitely read up on cold emailing rules under GDPR before doing anything. You should still consult laws and regulations in the countries that your contacts reside in. How to make sure a prospect list is quality and not outdated? Best advice would be – always use fresh carefully picked prospect lists. Second best advice – use your prospect list immediately after you’ve purchased it. Changes in business world are so frequent nowadays that you can’t afford to wait a month or more with your lead lists or risk purchasing even older ones. By using fresh prospect lists you will notice significant improvement in your open, click and reply rates. Make sure you are buying your prospect list at the right time and from the right source. Don’t purchase it now for the product you’re going to release in 6 months. You can make your own lead lists by using one of many Account Based Selling tools or outsource prospect list building to companies like Market Republic. We guarantee that our team composed of humans, not AI, will find the perfect match for your Ideal Buying Personas and deliver a list of fresh hand picked contacts for your sales funnel smoothie. Although it may seem so, outsourcing your prospect list building is not a complicated process. 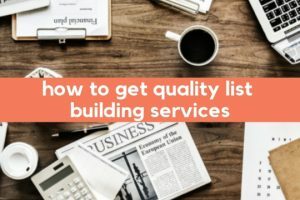 Learn about the whole process of getting quality list building services – prior, during and after hiring a prospect list building agency. Is Dirty Data Losing You Sales? Find Out! The contact lists you already have get less relevant every day. In a single year 30% of sales leads are unusable. 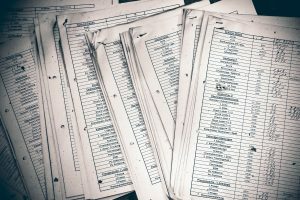 Depending on the state of your lists, the dirty data could actually be costing you sales. Find out what you can do about it.